Funny how the best laid schemes of mice and men often go awry. After rounding the corner at Thanksgiving to head into the Christmas season, my plans did a complete one-eighty and nothing has gone as I thought it would. This unexpected turn of events in the form of a family emergency did two things. 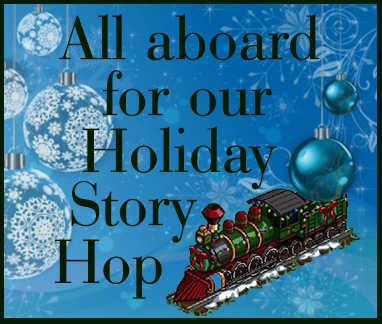 First, I have a half-written Christmas story that remains half-written. I’d intended to share it in the blog. Maybe next year. And second, like most people during this season, I grow pensive, reflecting not only on my current circumstances but also how I arrived at them. Perhaps this year I’ve been a bit more contemplative than usual. What better time to ponder life’s persistent problems than while running? Well, for me anyway. Today while logging my five and mulling over this blog it struck me how many young families have moved into the area. I saw toy and diaper boxes set out for Saturday morning recycling, and I wondered what Christmas morning was going to be like at that house or that one. Tired parents from staying up late to finish wrapping gifts and stuffing stockings? Wide-eyed, over-anxious kids ready for the day to begin at 5AM? Yes, that’s the way it was for Valerie and me when our children were young. I also thought today about my own childhood, and one particular Christmas came to mind. To set the scene, I grew up in a small New England town where we didn’t lock the doors at night. The milkman still made deliveries, and if we weren’t home he would open the kitchen door, walk in, and put the milk in the refrigerator. So it sounded perfectly reasonable to me that Santa used our front door, since we didn’t have a fireplace. On this Christmas Eve I was about five or six. My brother and I were in the habit of following my father around when he finished work, keeping him company when he changed from his work clothes. This night was no different, as he encouraged us to go upstairs with him, except that lo and behold when we came back downstairs, the front door was wide open to the frosty winter night. My mother came in from the kitchen where she’d been making dinner and asked what all the commotion had been. Wouldn’t you know, Santa had already visited us. My brother and I were flabbergasted. Santa came to us first? Wow! When I was older I learned that my father’s family celebrated on Christmas Eve, and while my mother was a traditional Christmas Day person, he’d talked her into having stockings, gifts, and a big dinner on Christmas Eve that year. A small thing, but isn’t it the small things that make the big events special? And this year, despite all the unpreparedness, will be special too. Merry Christmas, y’all. Now go read some good stories!